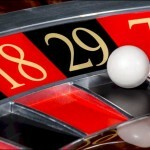 On several English, German and surely other forums you can find info on how dublinbet manipulates the roulette. From some testing websites dublinbet is: Not Recommended. DublinBet has this gambling licenses : Curacao eGaming - and there was no success contacting this license holder, either directly or via the affected player, about player complaints and consider them to be completely non-responsive. Basically there is enough evidence online about their cheating practices. So not trying to be subjective, I am going to provide evidence with screenshot on their roulette manipulation as well as their customer support, which for no reasons closed my account. The purpose is just to make aware roulette players about the manipulations so they can reconsider finding other providers. Since dublibet is the first under Recommended Online Casinos on this forum, I find it even more important to demonstrate my evidences. Did anyone else got cheated and have evidence about their manipulation? I'm all ears. If I thought they were cheating, I would say so. But I havent seen anything to convince me they are. I would not trust neither any live roulette coming from curacao egaming but I think it should be easy for Steve to prove us their is no cheating at all. He has a method to improve the accuracy so he just has to let us know how many thousands (million) dollars he won with the live roulette at dublinbet . Evidence 1: Playing exactly the same systems in four land based casinos for about two months, my results are about the same and that should be the case. However, playing the same systems on dublinbet for the same amount of time, the results differ from the four casinos - I am losing more on dublinbet. I know this is a weak evidence, but more will follow. When you start playing with Dublinbet, you first make money with your system. Suddenly after several winnings, you are not making money anymore and you keep loosing playing the same system. This has been conformed by many other forums as well and is easy to find online. I understand losing belong to the game, but again it is different than in the land casinos. Next evidence will follow with a screenshot. I agree 100% to your 2 first evidences. It is a shame that it is so easy to find out the games are rigged and nobody's doing anything. And when we start to win, either by taking advantage of the fact the games are rigged or with a method which kill the house edge, we can't play anymore. Only loosers can play, winners don't have the right to play. I played 8 years on sports games and then when Bet365 restricted my max limit bet to 1$, I started to play rng roulette at Bet365. It looked so great to pass from 25% house edge to 2.7% and to have a bet limit which can go from 10 cents to unlimited. Unfortunately, I found out it was rigged in less than 5 minutes. I complained to Bet365 few weeks after being 200% sure it was rigged. They didn't say anything, they just deleted the game. I used it only once. Results, I am not allowed anymore to play any live games at bet365. I can only play their rigged Rng baccarat which gives you the banker winner less than 5% of the times when playing banker (instead of more than 50% of the times...). 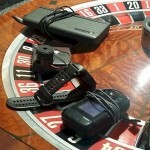 Above are the bad pactices of one of the most reputable online casino, so no comments for the whole industry. And I have never got any problems with land casinos, just winning. So, all the online casinos should be banished and everybody should play land casinos. I know what you are talking about bet365 as my account there has been restricted long time ago, after having an easy winning system on finance with 5 minutes charts and three steps progression. It was easy money, coz unlike EC where every spin has the same chance of red/black, the currencies must go up or down eventually playing the 5 minutes chart. Going back to Dublinbet manipulation. A win gives $1 profit. 7 numbers out of the 37 are not covered (0, 13,14,15,16,17,18). Imagine that just after few spins I got 11 of the not covered numbers in a row. I red somewhere that the longest losing streak on double street is 7. What was the chance of getting 11 of them, considering that I just started to play the system? Unfortunately as I was kind of shocked, I didn't take the screenshot, but the next day I decided to play the system again and only after three winners, the following numbers appeared: 13, 18, 13, 15, 13, 16, 0, 8, 13, 15 from right to left. Of course the only numbers I could lose are the number mentioned, but 8. Fortunately I took a screenshot this time. Secondly, I could never see where the number fall when the roulette was spinning, the camera went of every time I played. After that the camera has been restored and manipulated number has been shown. Here what I strongly believed has happened: DUBLINBET is live with actual players playing the same roulette you play online , but once you establish a winning consistency, disconnections and switching to RNG does happen. Usually when you are at a loss during a progression. Again, this practice has been confirmed on other forums and in the next evidences I will provide the links. Attached you have DJ 5 minutes candlestick chart. Imagine the blue bars represent black color in roulette and the white the red color. Playing black/red in roulette every spin you have the same chances of slightly below 50% due to 0. However, playing the 5 minutes charts and after three blue bars you just play three times the white bars (same after three white bars you play three times blue bars). Unlike in roulette, you can affect the outcome because the stock market can not go down forever. It means, you really increase the chance of winning every time you play the white after three blue bars. Surely you will have some losers, but the winners appear more frequently, thus in the end you make profit. You may play the way you like and wait a bit longer (e.g starting after 4 blue bars) but I would only risk three steps progression like 1,2,4 and accept the lose if no hit. Additional plus is that bet365 has no commission and pays 1:1 unlike binary options and you can play currencies as well. Problem, if you keep winning you account will be restricted. DO you know any other betting website where you can play finance as well? going back to the Evidence 3. It may be that if two persons (two different accounts) played the same table at the same time, different numbers would be shown for that particular table. It would be difficult to spot it, but then we would have ultimate proof for the manipulation. After I informed Dublinbet about the manipulation and about my screenshot, they decided to close my account immediately. Suddenly they found out that I am playing from a country not allowed. The funny thing is that I am not a resident of the mentioned country, just travelling while playing roulette. In addition, they did not block my account even thought I transferred the money to my Dublinbet account from that so called "not allowed country". In such a case they should never accept funds from "not allowed country". And here is a great explanations from Dublinbet support: "As casino is all about statistics, there is nothing "absolutely impossible". 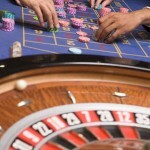 You can have 30 times the same number in a roulette, it already happened in the casino history, feel free to look for this information online. As you also know, casino a pure game of luck, and no skill is involved, unlike chess or poker. People winning Euromillion have a 1 To 140 000 000. Yet, there are several winners in Euromillion every years." Has anyone witnessed 30 times the same number? I think their customer support is just not aware of working for a fraudulent company. You are saying that bet365 doesn't have commission on their financial bets. I don't know what you mean by this but the house edge is... 40%. So, if you just try your luck without any knowledge, any winning method, you will lose a lot of money much more than in any casino games lol. Thanks for sharing your winning method . William Hill also do financial bets.